National Bureau of Economic Research, Bernheim & Geer, Do Real Estate Brokers Add Value When Listing Services are Unbundled? Real Estate Agent's operate in their own interests - not their clients! Publisher's Note: Most people think the cost of using an agent is the very expensive 6% commission. There are several SCIENTIFIC papers that determined the true, real cost of using an agent and it is closer to 13%...twice as much! Briefly, the sticker price of using an agent is the 6% that is paid at closing. The hidden cost is the more expensive sales price reductions recommended, advised, coerced by the agent. The attached studies detail how those using an agent clearly sell for LESS (5.9 to 7.7% less) compared to similar homes that are sold by the owners. In a thorough statistical apples-to-apples comparison, the Stanford University economists clearly demonstrate that homes sold through agents sell for much less than comparable homes sold by the owners. You are urged to read the original papers for yourself - the links are below - the conclusions of the authors are scathing, disturbing, eye-opening...and make perfect sense! National Bureau of Economic Research, Bernheim & Geer, Do Real Estate Brokers Add Value When Listing Services are Unbundled?, February 2008. "Economists have long been perplexed by the resilience of the real estate agent. Theory suggests that the relationship between agent and buyer or seller is far from optimal, and that conflict is often borne out in practice. Stanford University economics professors B. Douglas Bernheim and Jonathan Meer published the results of their study of nearly 30 years of house and condo sales on the university campus. They found that an owner's use of a broker to sell their property reduced the eventual selling price by 5.9 percent to 7.7 percent*, compared with homes sold by the owner directly." The object of the paper was to measure the effects of real estate brokerage services provided to sellers, other than MLS listings, on the terms and timing of home sales. It is not obvious that sellers benefit from those services. On the one hand, brokers offer potentially useful knowledge and expertise. On the other hand, because the relationship between the homeowner and the broker resembles a classical Principal-Agent Problem, the broker may not deploy services in ways that promote the seller's interests. As Levitt and Syverson (2008) emphasize, an agent "has strong incentives to sell the house quickly, even at a substantially lower price." Their empirical analysis shows that homes owned by agents sell for nearly four percent more and stay on the market roughly nine days longer than other comparable houses." Similarly, Rutherford, Springer and Yavas (2005) find that "real estate agents receive a premium of 3.0 - 7.0% when selling their own condominiums in comparison to similar client-owned condominiums" by waiting longer to sell. While these studies shed light on the magnitude of agency costs (i.e., the extent to which deployment of brokerage services departs from the first-best), they do not tell us how those costs compare to the benefits flowing from a broker's knowledge and expertise. In this paper, we estimate the effect of a seller's decision to use a broker on list prices, selling prices, and speed of sale for a real estate market with an unusual and critical characteristic: it has a single open-access listing service that is used by essentially all sellers, regardless of whether they employ brokers. Our central finding is that...a seller's use of a broker reduces selling prices by 5.9 to 7.7%, which indicates that agent costs exceed the advantages of brokers' knowledge and expertise by a wide margin. The principal - agent problem (also known as agency dilemma) occurs when one person or entity (the "agent") is able to make decisions on behalf of, or that impact, another person or entity: the "principal". The dilemma exists because sometimes the agent is motivated to act in his own best interests rather than those of the principal. As an example, consider a stock broker recommending the purchase of a stock - for which he receives a commission. Is he operating in his own best interest, or that of his client? The market consisted of roughly 800 houses and condominiums located in a collection of largely contiguous neighborhoods on Stanford University land. Because ownership of the homes is limited to Stanford faculty and some senior staff, the MLS plays no role. Instead, the Faculty Staff Housing (FSH) Office maintains a free listing service...As in other markets, brokers are compensated through standard commissions (range of 5 - 6%), so the usual principal-agent problems are present. Consequently, by analyzing this market, we can identify the separate effects of brokerage services other than MLS listings. Altogether 1,064 sales between January 1980 and January 2008 were used for analysis. It is important to discuss the representativeness of the setting. Given the focus of our study, the critical question is whether the setting is representative in terms of the magnitude of agency costs on the one hand, and the benefits of brokers' knowledge and expertise on the other. While acknowledging that homeowners in our sample are well-educated and affluent relative to the general population, we see no reason to think that this group is either particularly susceptible or resistant to agency problems, conditional upon socio-economic status. There is in fact a high degree of fluidity between on-campus and off-campus housing. A substantial fraction of faculty members choose to live off-campus in surrounding communities, and the prices of on-campus housing have historically tracked off-campus prices. Thus, Stanford housing is more properly viewed as a neighborhood than as a market. In addition to whether the seller used a broker, initial asking price, selling price and months between initial listing and close of escrow, other variables used in our analysis measure characteristics of the property, including the number of bedrooms and bathroom, site acreage, square footage,...presence of a study or pool, age of the home at the time of sale, neighborhood indicators, market conditions, buyer and seller characteristics. We have employed a unique data set to examine the separate effects of real estate brokerage services provided to sellers...on a home's selling price, initial asking price, and time on the market. Our central finding is that a seller's use of a broker reduces the selling price of a typical home by 5.9 to 7.7 percent, which is consistent with the presence of a fairly severe principal-agent problem. We find no evidence that the lower prices received by sellers who use brokers are attributable to correlations with unobserved household characteristics such as preferences or negotiation skills. A seller's use of a broker reduces the selling price of a typical home by 5.9 to 7.7 percent, which indicates that agency costs exceed the advantages of brokers' knowledge and experience by a wide margin. Let's closely read that last line again. Those using an agent sold their homes for 5.9 to 7.7% less compared to comparable homes sold by the owners. Using an agent results in a LOWER selling price vs selling by owner. Now add the 6% commission on TOP of that performance and you get somewhere in the neighborhood of a 12 - 13% total loss BECAUSE an agent was used! Levitt, Steven and Syverson, Chad (2008). Market distortions when agents are better informed: The value of information in real estate transactions. Review of Economics and Statistics, 90(4), 599-611. Rutherford, Ronald, Springer, T. and Yavas, A (2005). Conflicts between principals and agents: Evidence from residential brokerage. Journal of Financial Economics, 76(3), 627-665. Thinking of selling your home using an agent? You might want to determine the real cost to you before you make a huge financial blunder. the use of an agent results in a significantly lower sales price and for that service a seller then pays a 6% commission on top of that raising the effective commission charged to somewhere between 12-13%! Principal-agent problem. Previous studies have identified evidence of the problem in terms of real estate agents giving their clients advice that is different than what the agents do for themselves (Levitt & Syverson papers). The present study quantifies the dollar cost (as a percentage) of that hypocracy by comparing the sales prices of homes with or without a broker in a very controlled setting. The costs are huge (see the example below). What to do? Knowledge is power, Understanding that agents are human, motivated by their own self-interests, is empowering. Did you really ever think that an agent could some how get you more money when there are checks and balances embedded in a real estate transaction designed to prevent that? If after reading this material, you are still thinking of listing with an agent, at least you have some external validation of some of your suspicions. If, on the other hand, you are thinking about what you have read, you will not be listing with an agent. In 2015, the average sales price of a home that sold through Picket Fence was $299,700 (asking price ave. was $305,694). There was no commission paid. The $299,700 went into the owner's pocket (minus about $825 in advertising fees and $550 in attorney's fees - on average). That same home, if sold through an agent, would have dropped in price by about 7% to $284,295...a loss of $21,399. Then a 6% commission on that sales price of $284,295 is another $17,057. Listed? How to Get Out of Your Listing Contract. During the sell, agents will often state "If at any point, you are not completely satisfied you can cancel the contract...no questions asked," or something to that effect. Now is the time to call their bluff. You may find that there is fine print preventing you from canceling (big surprise!). There may also be fine print indicating that there is a fee due if you cancel the listing prematurely. (Most agents will tie you up as long as they can...up to a year...so check the fine print). If these revelations are present, and new to you, perhaps now you realize what you are dealing with. You have to be strong to protect your financial future. If there is reluctance or resistance to cancel the listing threaten legal action, or to call the Attorney General. If you have specific concerns please email, we can send you information on what others have done. FYI The Stanford study cited above released it's preliminary findings to the population of homesellers who were being studied. In the year before the study, 59% of the homes in that population were listed with agents. Once the real 13% cost of selling through an agent was known, that percentage dropped to 27%. People dropped the agent and sold it themselves. 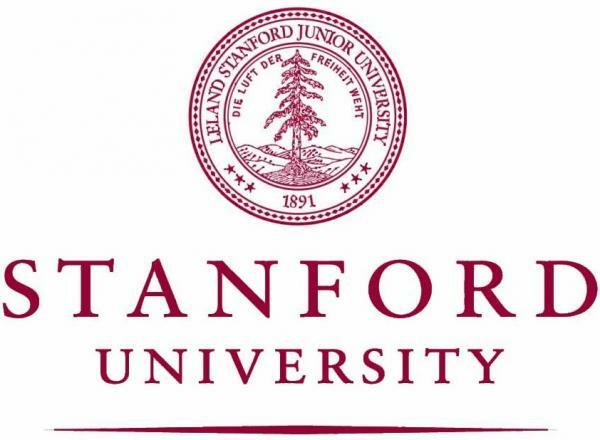 Granted, these are Stanford University professors and staff, but still you can learn from the 'smart money', too. Smart people drop their agents when they realize the true cost of using one, and that, due to the Principal-Agent problem, the agent can't operate in the client's best interests. Still not convinced? Money no object to you? How about safety, security, privacy? Read why you NEVER want a real estate agent lockbox on your door! This was very stressful for it was on the market with a realtor for a year and they did nothing - wasted my time so went to Picket Fence... Now we have a contract so happy! As long as you have a good lawyer you can do this...the tools from Picket Fence were great. Thank you and hopefully the rest will go smoothly . ©1993-2019 Picket Fence Preview Inc. All rights reserved.